Nominate our CEO for NBAA YoPro Top 40 Under 40! 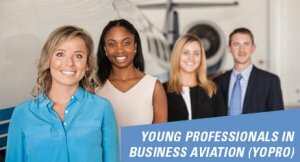 The NBAA YoPro Council developed the Top 40 Under 40 program to shed light on young professionals who are making their mark in the Business Aviation industry. Help us recognize Compressed Gas Systems CEO, Brian Tyminski, for the Business Management category! Brian Tyminski started Compressed Gas Systems 7 years ago with 1 employee and now operates two FAA/EASA repair stations in Cerritos, CA and Fort Lauderdale, FL. Brian is actively involved with the Aeronautical Repair Station Association (ARSA), National Business Aviation Administration (NBAA), Southern California Aviation Association (SCAA), and other organizations pursuing changes to FAA regulations that affect all small MRO's. This year, Brian started an internship program in Broward County FL, allowing A&P students to learn valuable skills in a real Part-145 environment. In fact, Compressed Gas Systems’ Chief Financial Officer, Chief Inspector, Customer Service Manager, Operations Manager, and Repair Station Managers are young professionals themselves, ranging from 24-39 years old. Brian is dedicated to this generation’s aviation professionals and we think this is a terrific way to recognize how CGS is making a difference in the Business Aviation community.